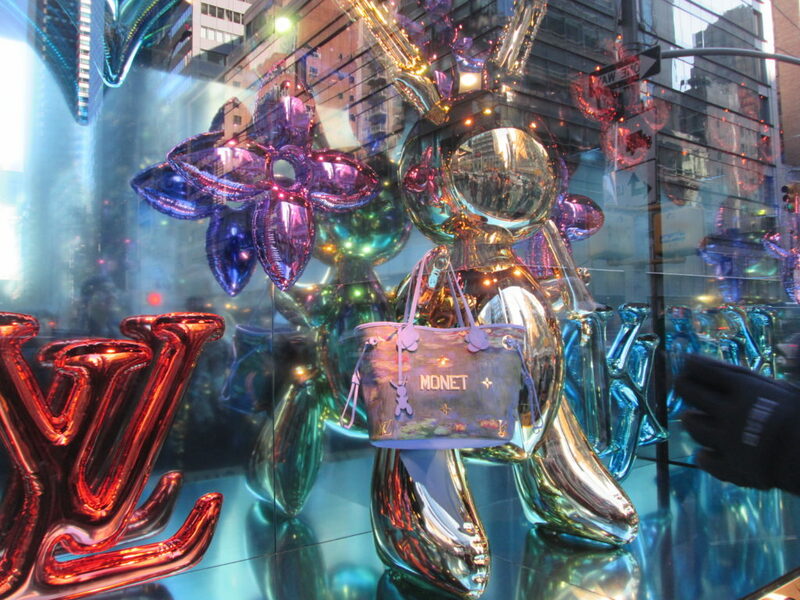 They have a big display for Koons’ collaboration with Louis Vuitton, which you’ll see at several other department store windows. 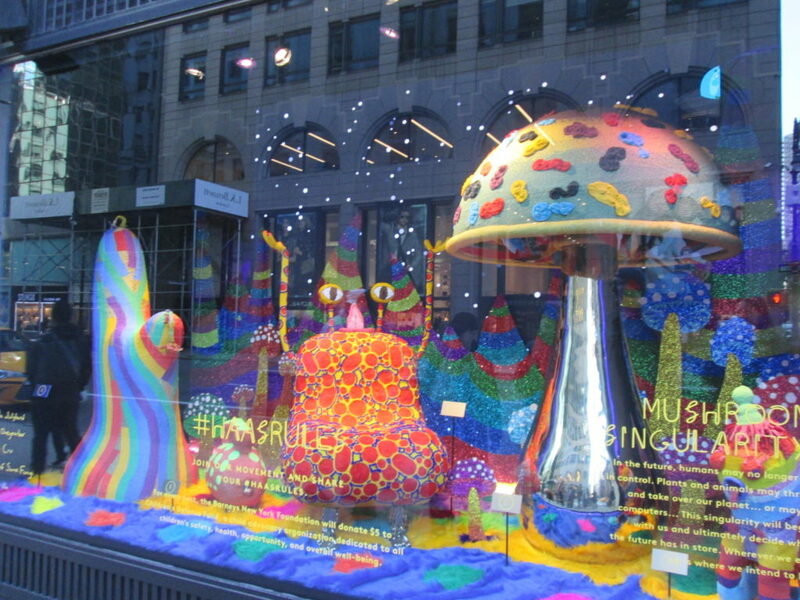 But the Bloomingdale’s window has more of the Koons sculptures (see below). 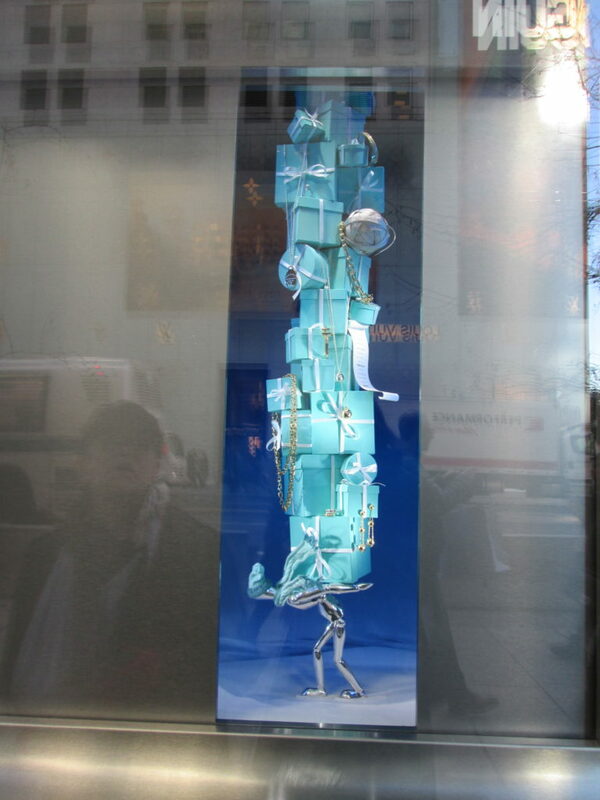 The ones I saw were all Monet, but Louis Vuitton is featuring many more of the masters. 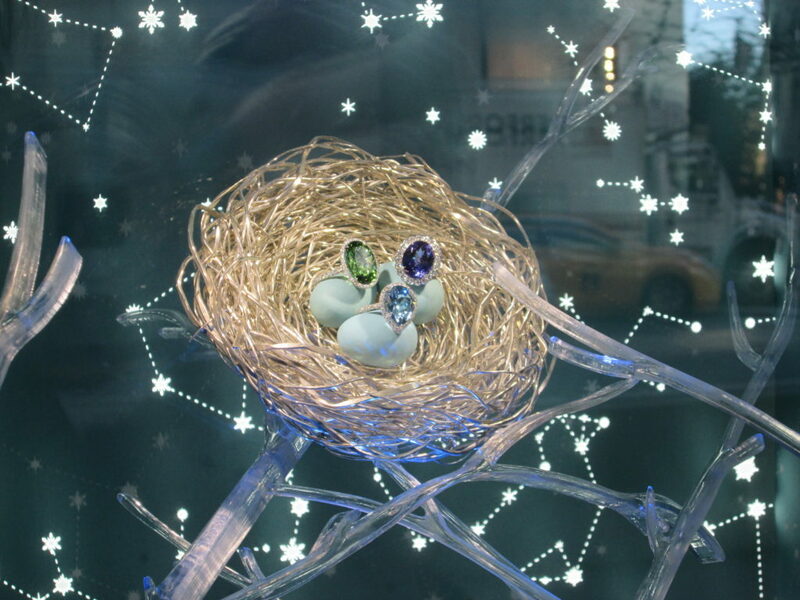 I think they’re tacky, but I can’t afford them anyway, so it doesn’t really matter. 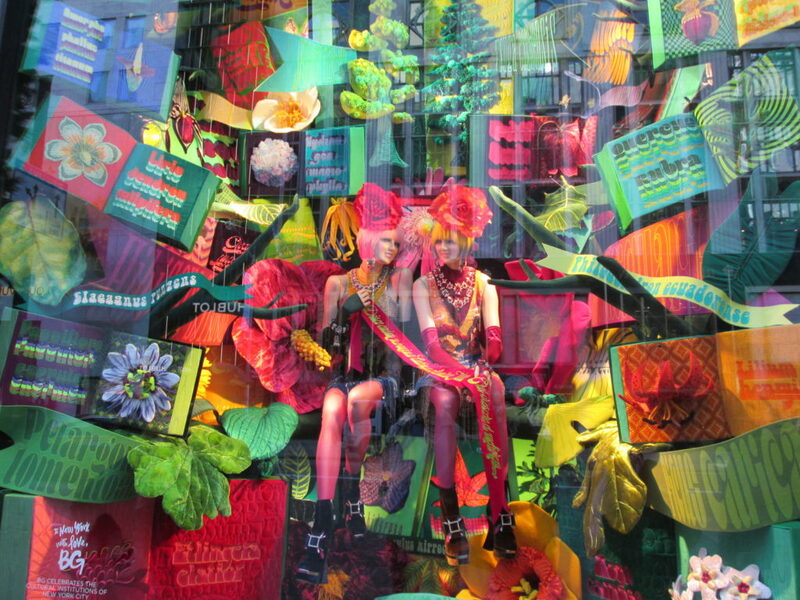 Bergdorf Goodman’s theme for its NYC holiday windows is ‘To New York With Love’ – and they highlight some of the city’s cultural institutions. 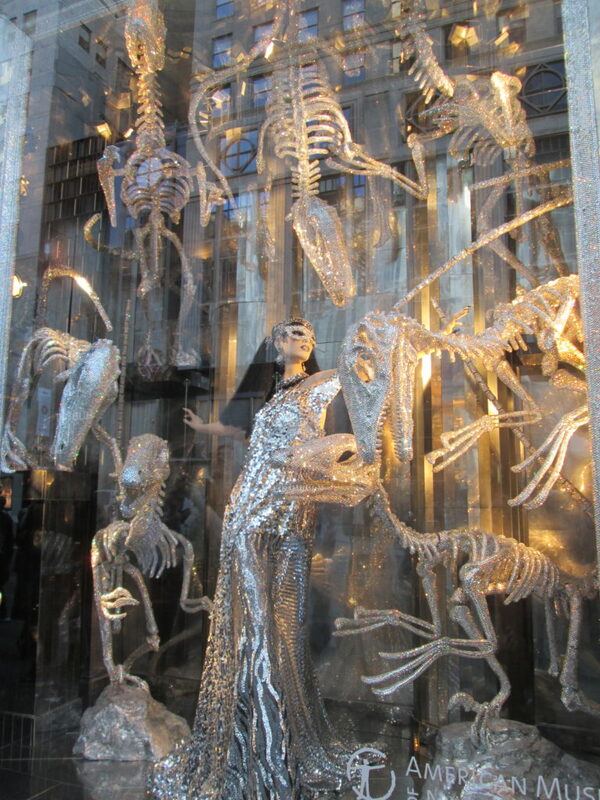 I loved their windows (even the side windows that weren’t part of the theme). 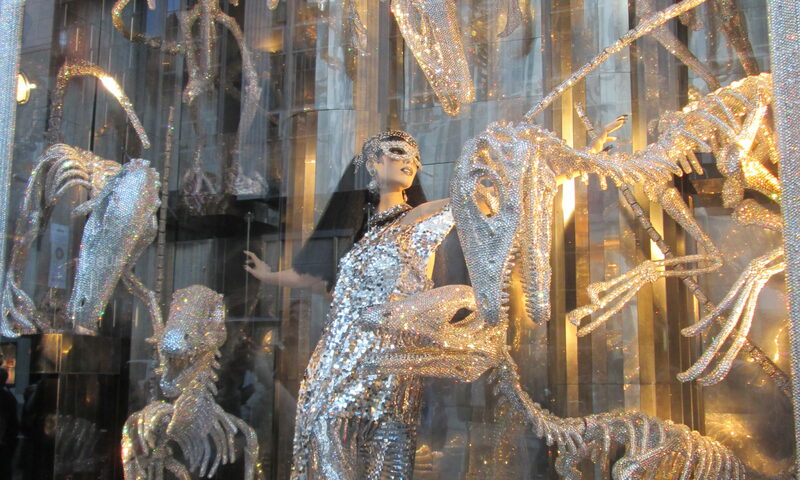 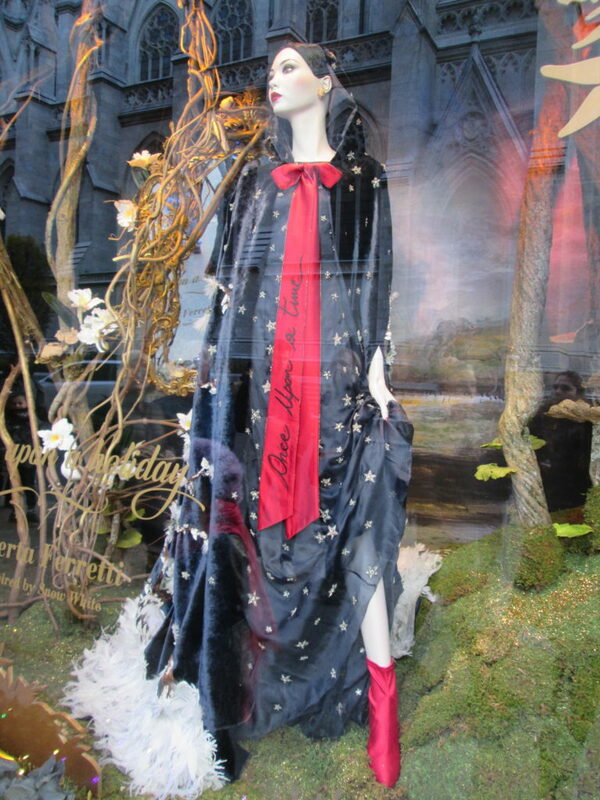 Here are Bergdorf Goodman windows from 2014. 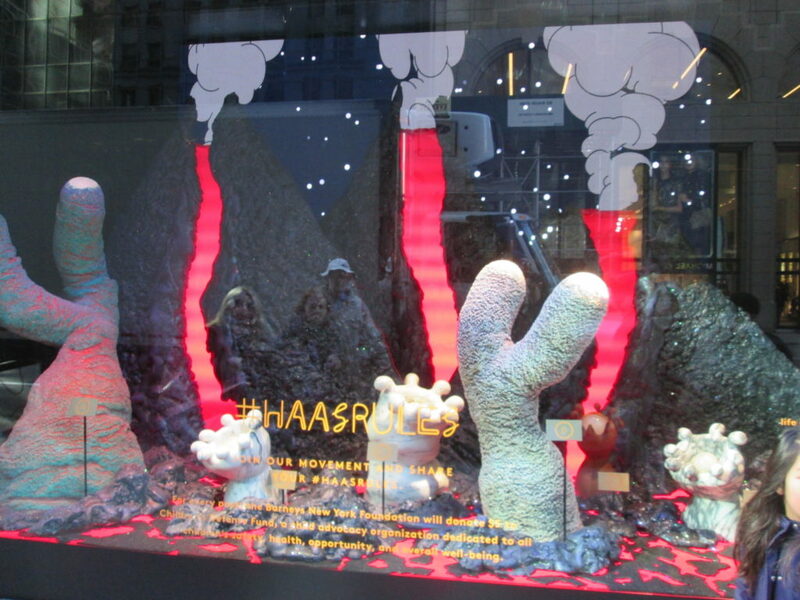 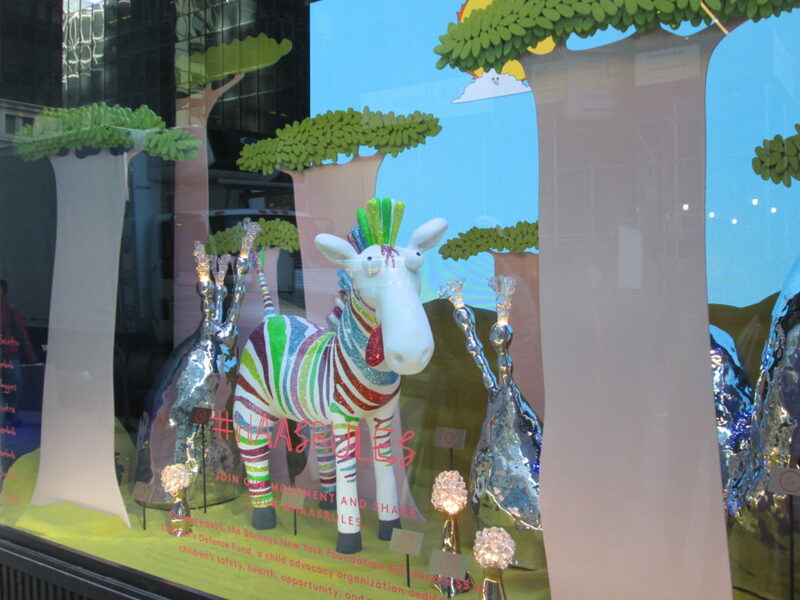 Barney’s theme is ‘Haas for the Holidays,’ for its NYC holiday windows, featuring artistic vision from the Haas brothers. 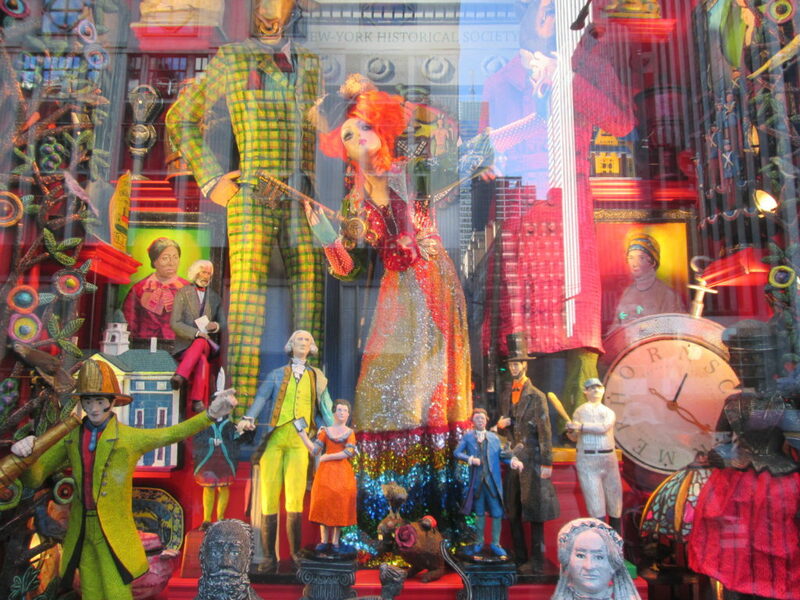 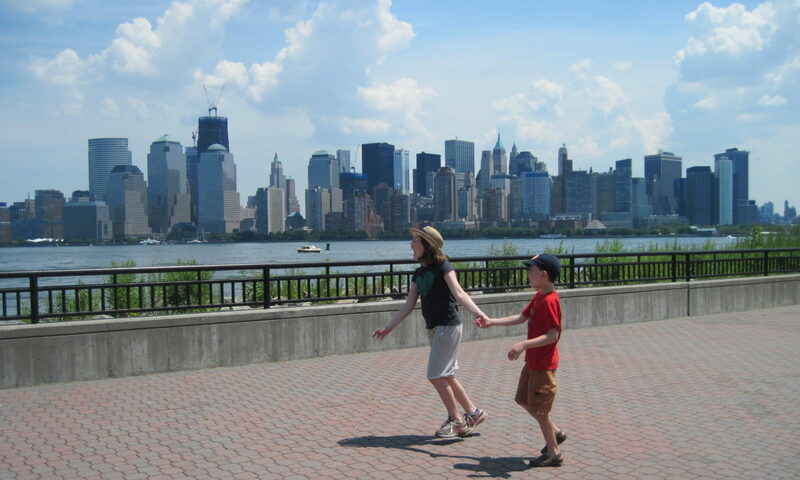 It’s all fun and whimsy. 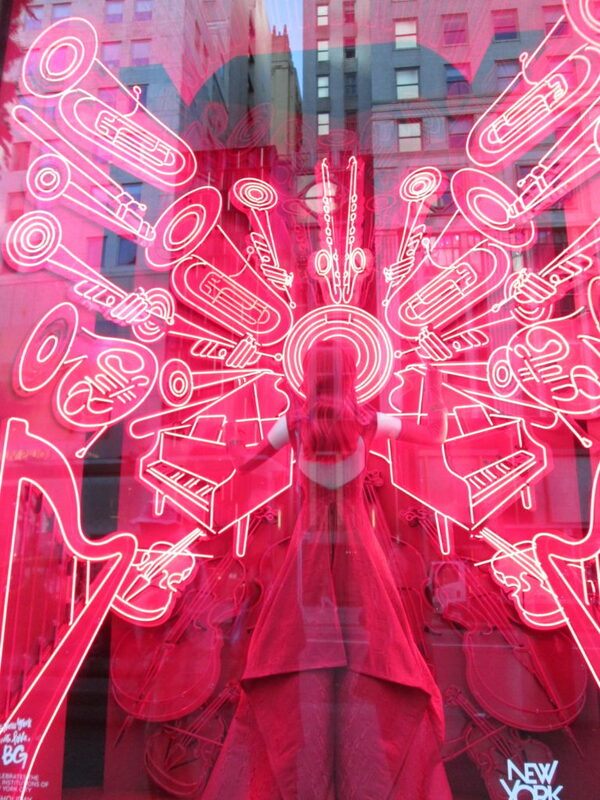 Here are Barney’s windows from 2016. 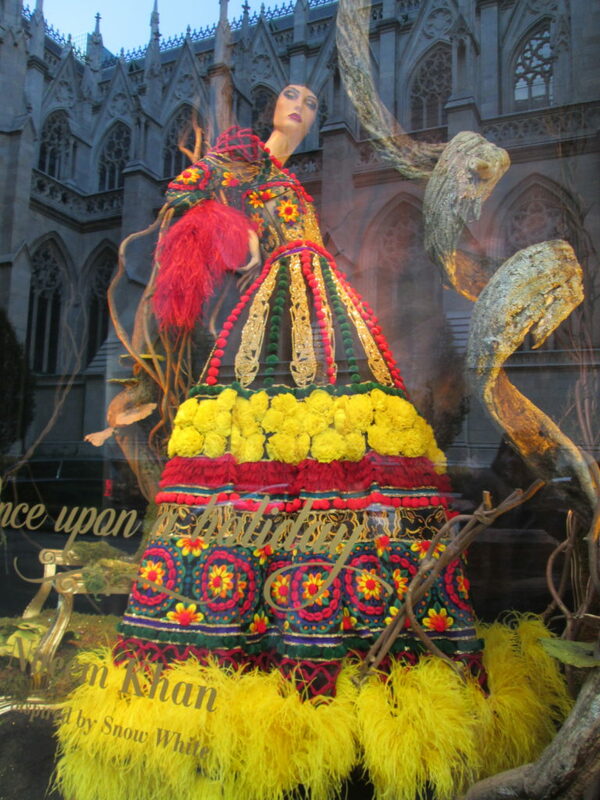 Sak’s Fifth Avenue celebrates the 80th anniversary of Snow White for its NYC holiday windows. 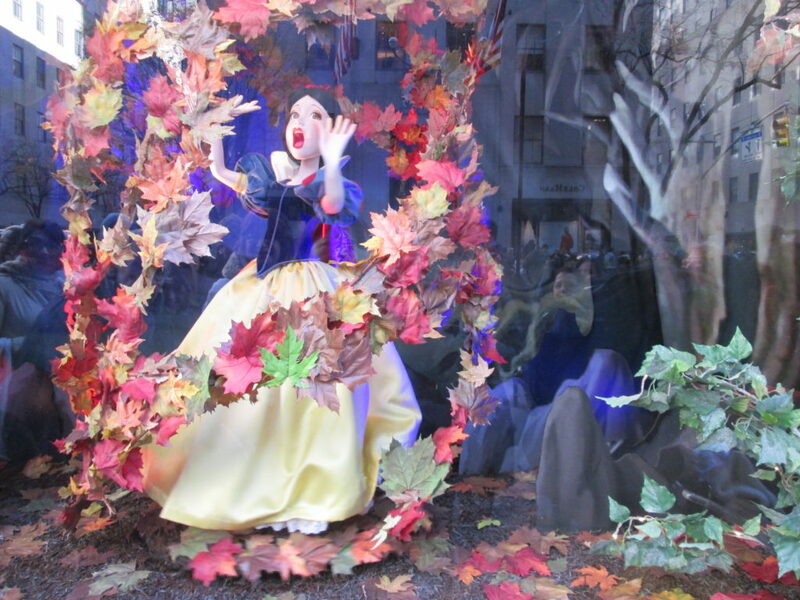 The actual themed windows weren’t too exciting, but I liked the Snow White inspired clothing in the side windows. 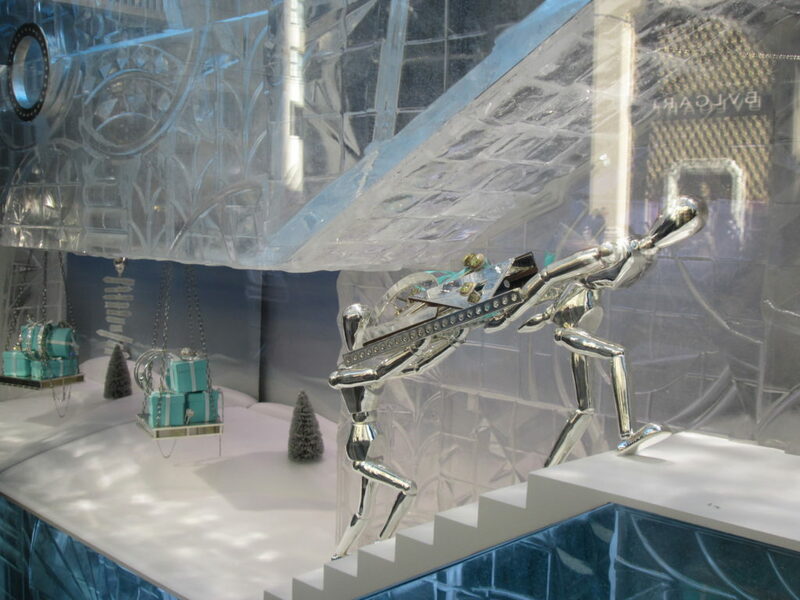 Here are Sak’s holiday windows from 2016. 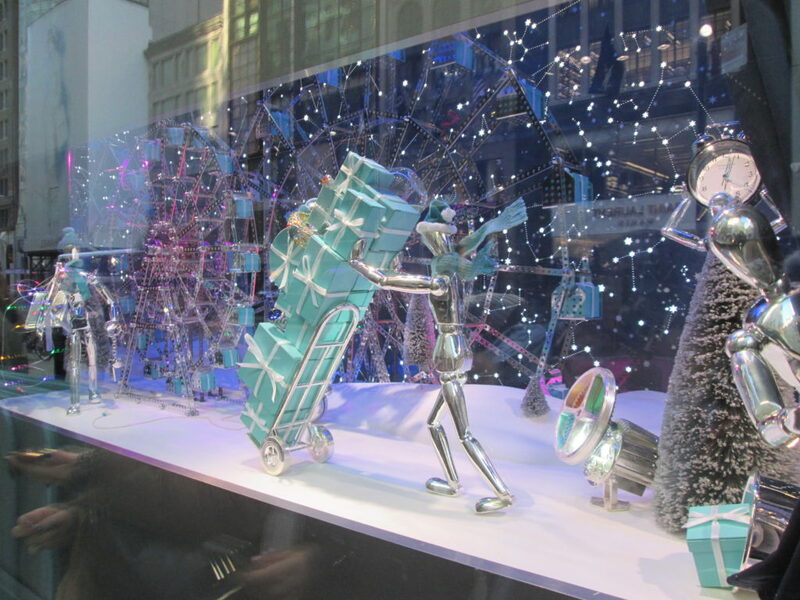 I thought Tiffany’s wasn’t going to do their NYC holiday windows, given their, ahem, location and security issues. 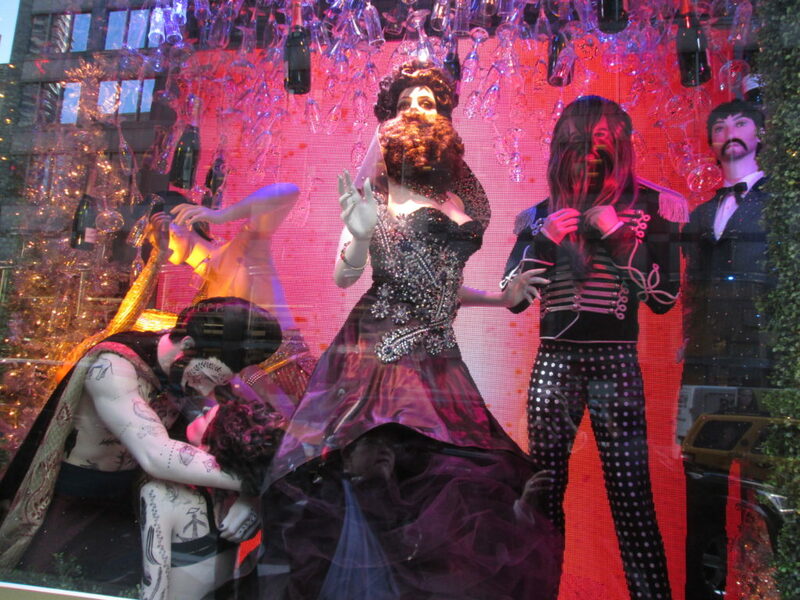 But they did, so that’s awesome! 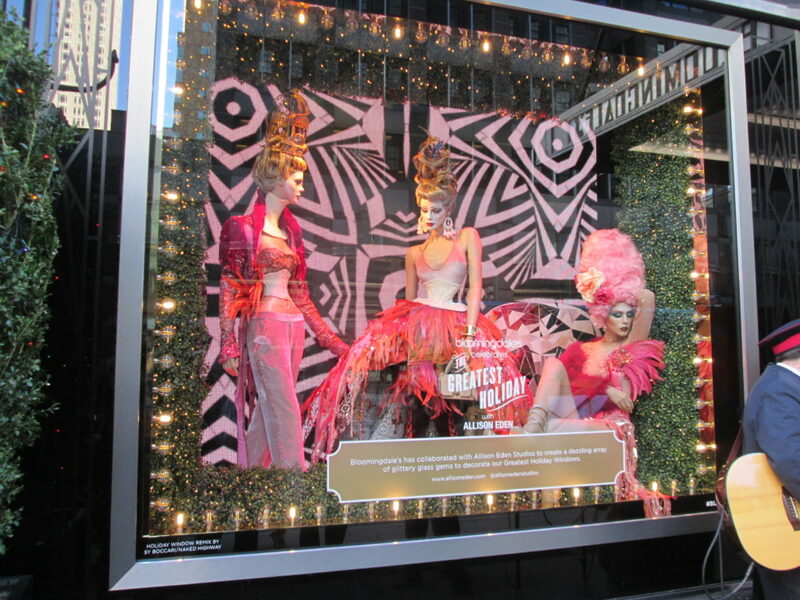 Unfortunately, we didn’t get to Macy’s or Lord & Taylor NYC holiday windows this year!